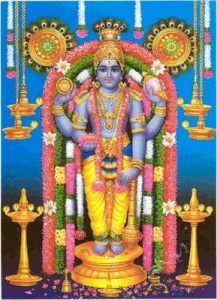 Vaikuntam is considered the world of Thirumal, is praised as heaven. 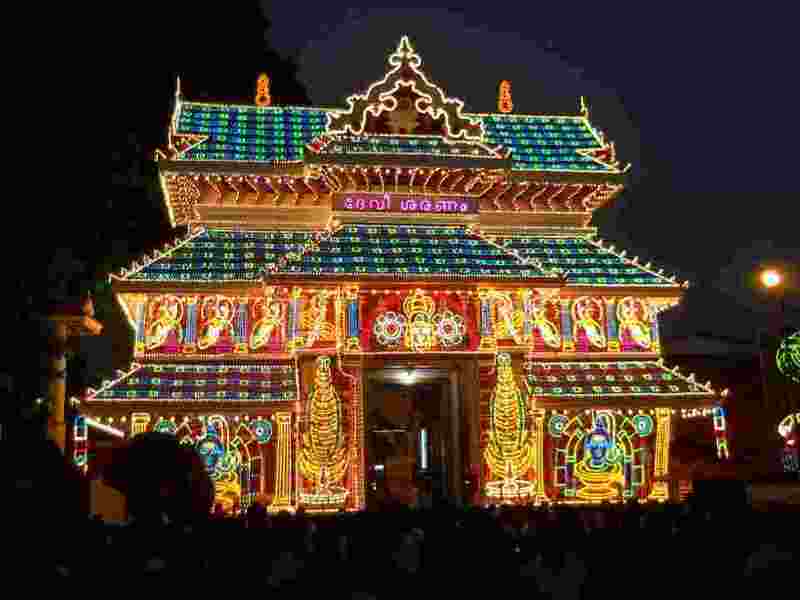 If there is a temple that is adorned with such a paradise, it is the Krishna temple in Guruvayoor. The temple is regarded as the sacred place of Vaishnavas and is not included in the 108 Divya Desi temples. But passing it too, it is praised as a Boolaga Vaikuntha. 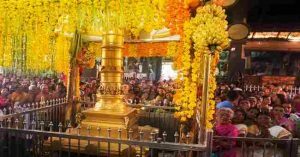 Just before the birth of Lord Krishna in the world, his father Vasudeva and his mother Devaki got the Dharsan of Lord Krishna with the same structure as in Guruvayur. This temple is also known as the southern Dwaraka. 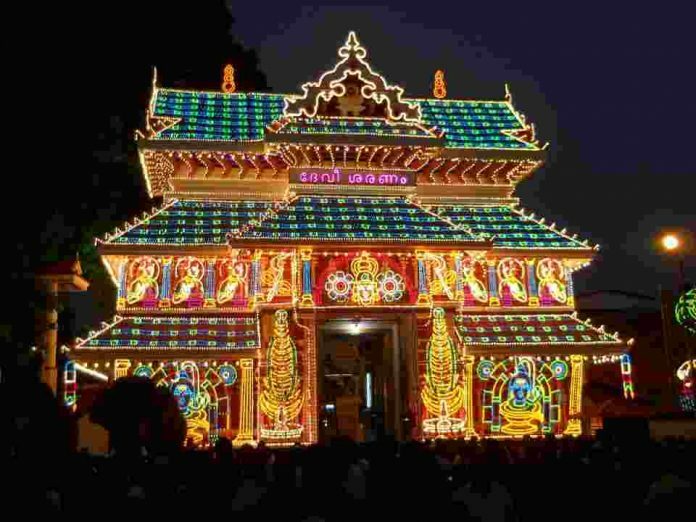 There is a belief that Lord Rudra was in Meditation in the pool of Guruvayur temple. So the pool water is called as Rudra theertham. Here the sculpture of Lord Krishna has four hands. One with Sangu, another with Sudarshan Chakra, the third one with Lotus and fouth one with Katha. The Moolavar idol is unique. 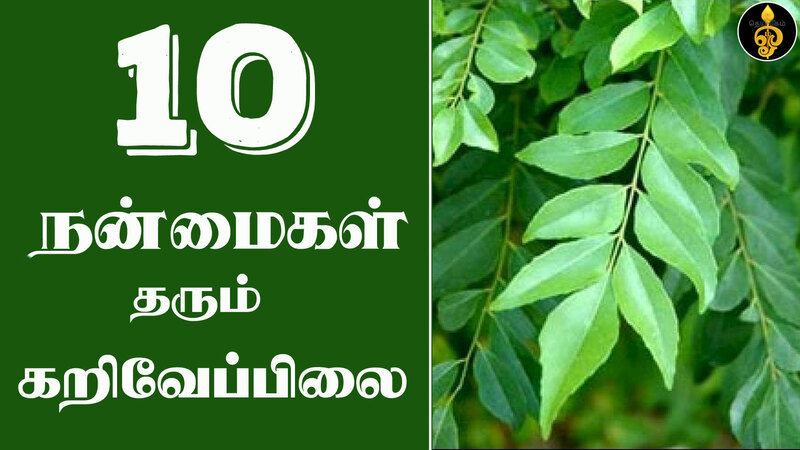 It is believed that Lord Mahavishnu created it and offered it to Lord Shiva and Lord Brahma. There was a King called Sudhabar who meditated Lord Brahma with his wife to get a baby. Lord Brahma Praised them gave the Krishna idol to them asked them to do pooja daily. One day Mahavishnu came before them and offered a blessing to them that he will be born three times as son for them. According to that blessing Lord Vishnu born as a son of them three times in three different Yugas. 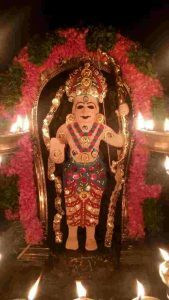 At the end of Krishna avatar, the idol was given to devotee called Uthavar. There was a flood in Dwaraka and Dwaraka was submerged into the sea. At that time idol was floating in the sea. Lord Guru saw the idol and he was searching for a perfect place to place the idol. He met Parasurama at Palakat and they both started searching a place. At that time they feel that Lord Shiva is there in one pool. Shiva came before them and he blessed them and asked to place the Idol there. 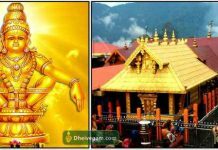 Now that Idol is in Guruvayur temple.